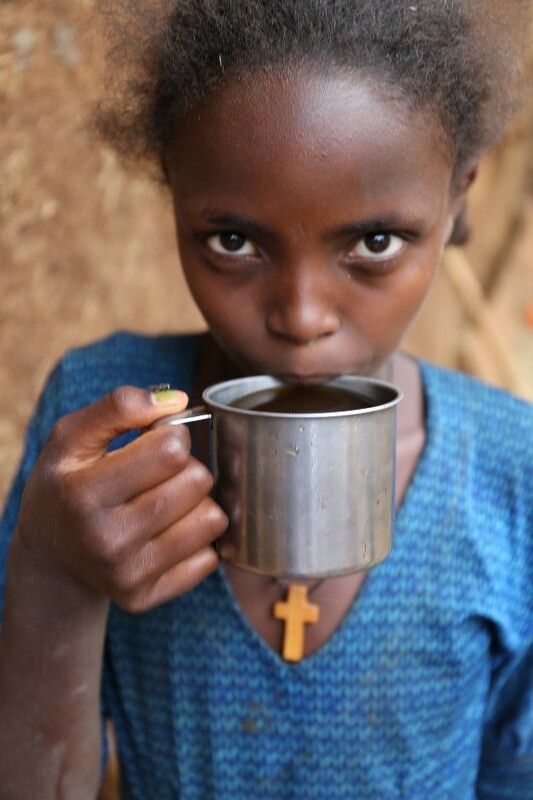 During this year’s UK Coffee Week, April 29 – May 5, all funds raised will be continuing to support our latest initiative in the Jabi Tehnan district of Ethiopia – a project which began in 2018 in partnership with WaterAid. Why the Jabi Tehnan district? 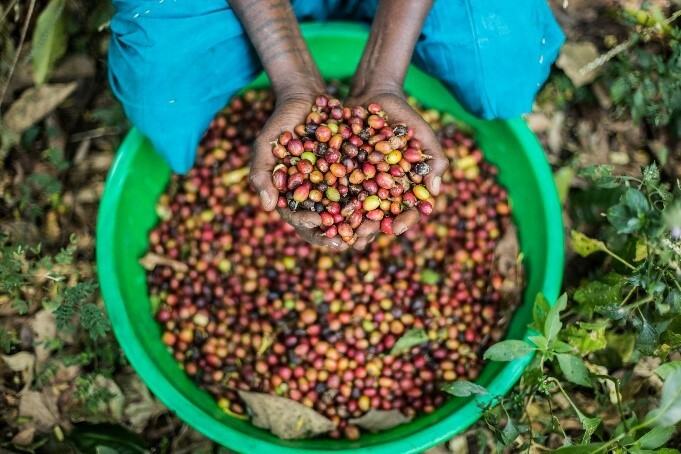 Ethiopia is considered the biological and cultural home of coffee, with coffee farming providing an income for over 15 million people across the country. However, Ethiopia is one of the countries that struggle the most with the water crisis. Only 39% of the population have access to basic safe water and just 7% have access to basic sanitation. Jabi Tehnan is a rural coffee growing district. 38% of the district’s population depend on coffee for their livelihoods, yet the area has some of the worst coverage of clean water and sanitation. Many farmers have half a hectare of land next to their houses where they grow coffee. These farmers rely on a traditional irrigation system to water their farm, but water is very scarce in these areas, not only for farming but also for drinking. This means that very few people can access drinking water close to their home. They walk for over 15 minutes to the nearest water pump and queue up for several hours to fetch water. The new water system will be managed by specialist private operators and two boards will be appointed within the community to represent the voice of the local residents. The project will build new gender segregated toilets for the schools and health institutions in the community. It will also build capacity in local communities to ensure that WASH facilities are maintained on a long-term basis. We will be working with local communities, students and healthcare professionals to run evidence-based hygiene awareness initiatives, with a particular focus on women and girls. This is to tackle the high prevalence of diseases and lack of knowledge around good hygiene practices. By 2022 our aim is to provide 10,662 people in the district with access to clean water and sanitation. Nitsuh Amsalu, 13, carries water back home after collecting it from a hand dug well. • Provide sanitation marketing and entrepreneurship training within communities. Throughout UK Coffee Week thousands of coffee outlets will be raising funds for this project by donating money from every cup of coffee they serve or hosting events and workshops. 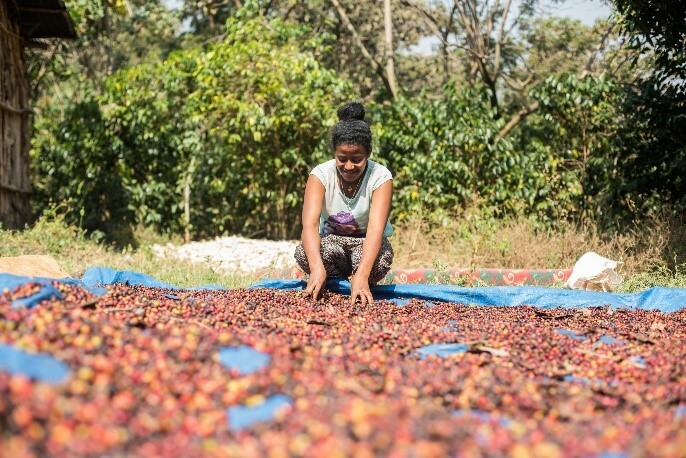 Their efforts will give coffee lovers across the UK the chance to make their cup matter for Project Waterfall.